The Himalayan Kingdom of Bhutan is a land of high mountains and deep valleys where compassion and wisdom are the benchmark against which all things are measured, and where the King rules by ‘Gross National Happiness’. On your 26.2 miles or 13.1 miles journey through stunning rural countryside and villages, before finishing at the historic Punakha Dzong, you’ll discover the geographical and cultural wonders of a country naturally designed to be a tantalizing destination for adventure and spiritual seekers. 100% of the profits made through this event will support Bhutan’s Youth and Olympic Sports programs. Come for the event, and stay for the travel experience of a lifetime. The marathon route is mostly rural and approximately 50% on hard pack dirt and 50% on pavement. The marathon will start at 8:00 AM. The elevation at the start line is 6700 feet. We recommend you wear warm clothing over your running clothing and bring any other personal items you might need. These will be transported for you back to the finish line. Do not bring any valuables to the start line. From the start line runners will descend into a few shallow rollers before the course mostly flattens out while proceeding toward Punakha. The route follows the Mo Chhu (river) through rural Punakha Valley. After leaving the rain forest area the valley will open up and you will have stunning views of the Khamsum Yulley Temple, monasteries, rice paddies, rain forest, villages and Chortens. Route is mostly rural and approximately 50% on hard pack dirt with some rocky and uneven surfaces and 50% on pavement.. The terrain is flat to rolling with many gradual down hill sections and with an overall elevation loss of over 1000 feet. Approximately .5 mi (.8 km) before reaching the Punakha Dzong, runners will turn left off the main road, cross a bridge onto a paved road and then and take a hard pack dirt track through a small village bypassing the cremation site. At the cremation site you will have approximately 7 miles (11.27 kms) to go to the finish line. You will climb over a cattle barrier then up a short hill, before crossing a stunning 300 foot long suspension bridge across the Pho Chhu. Make sure you take a moment to enjoy the view! This is a very stable suspension bridge and quite runnable. You’ll descend a short steep hill off the bridge area before continuing on hard pack dirt for about 3 miles (4.8 kms) while following the Puna Tsang Chhu south from the suspension bridge. You’ll reach your last aid station on the course just before before turning into pavement for the remainder of the event. 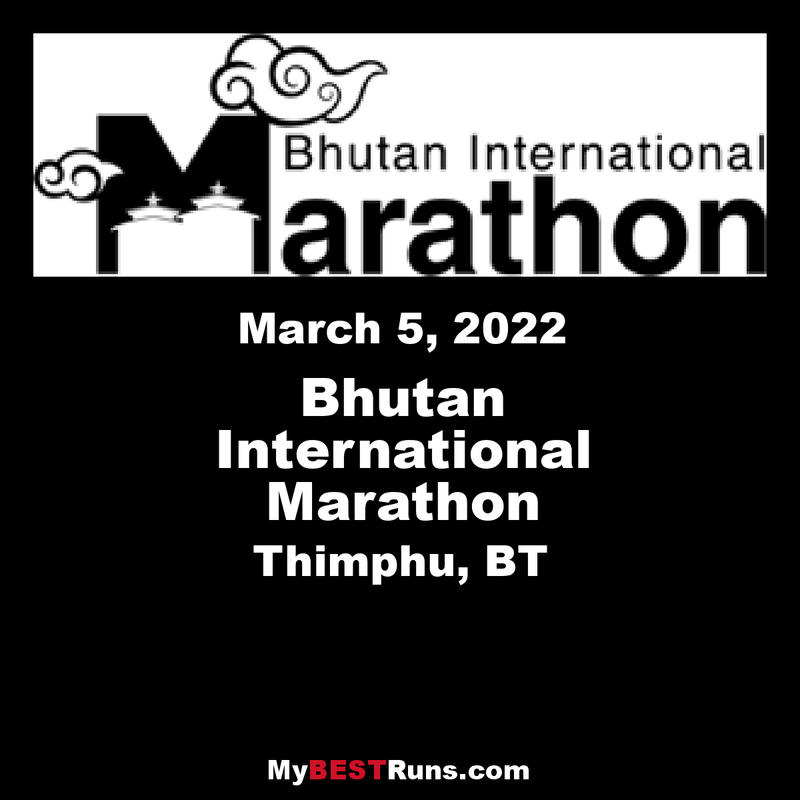 Runners will then cross the Puna Tsang Chhu on a standard vehicle bridge and head north back toward Punakha Dzong via Khuruthang town and past the Khuruthang Monastery and Chorten. The finish is at the picturesque Punakha Dzong. 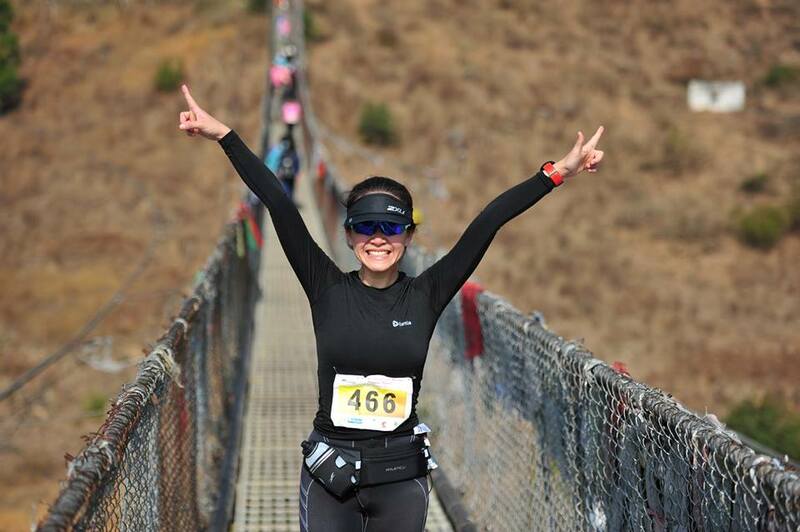 Runners must reach the Pho Chhu suspension bridge (18.6 miles/30 kms) by 1:30 PM and the finish line by 3:00 PM.